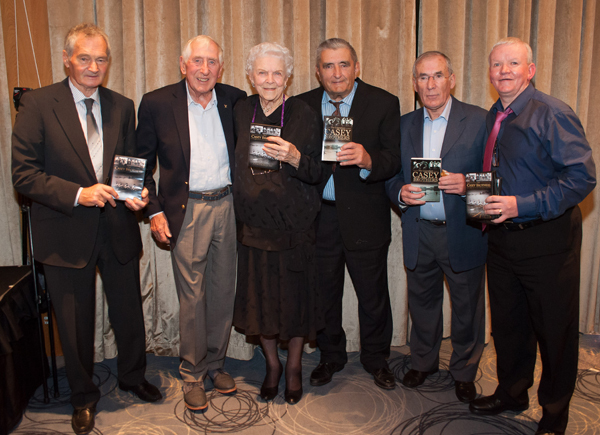 The Book & DVD telling the story of the Casey family of Sneem was launched in the Sneem Hotel on Friday 18th October 2013. Please Click or on Image for more photos from the launch. I had heard the phrase, “The Casey’s of Sneem” since I was a young lad growing up on the side of Lower New Street in my home town of Killarney. The name has reverberated down through the decades. Expressions such as, the greatest, the strongest, the best in the world, sporting giants, the toughest and much more have captured the imagination of generations Kerry people whenever the name came up for discussion. As a youngster in the forties and fifties in Kerry the Casey’s of Sneem influenced my thinking and that of any youthful sports person with ambitions of greatness in their own right and yet despite all the praise and adulation showered on the name not alone in Kerry but in England and America the real true story of this remarkable family has never been told, until now. A multitude of stories, both fact and fiction flourished about this incredible family but due to unforeseen circumstances a superb book chronicling the story of the entire family written by Jim Hudson in collaboration with Jim Casey in 1991 never reached the book shelves and it is only now with the long overdue publication of this much sought after book that we can reveal the true story of the Casey’s of Sneem. The list of Casey sporting achievements are far too many to list here; Paddy was undefeated light and heavyweight wrestling champion of Ireland and his son, Patrick, was a member of the Vista Rowing Club in London and won a medal in 1981 in the Hanley Regatta. Paddy also won many long distance cycling races in Ireland. Dan was a contractor, champion oarsman, and tug-o-war champion. Tom became British heavyweight boxing champion in 1937 after only nine days training. Jim won the Canadian and South American wresting titles. Mick, in a career that lasted over twenty years, had two hundred wrestling bouts. And of course probably the greatest of them all Steve retired undefeated as world wrestling champion. And most astounding of all was their non participation in the Berlin Olympics of 1936 when they were barred from rowing there following their victory in the English rowing championships. The brothers were also unbeatable in tug-o-war, winning many titles. 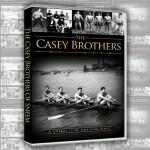 This amazing story of the Casey brothers is surely one of the most remarkable and inspiring of all. They left their native place, went forth and matched their prowess against the greatest sportsmen throughout the world. They have earned undying fame and it can be said without fear of contradiction that this family of seven boys was without a doubt, “the greatest of all”. obsessed and infatuated with the story of the Casey’s all his life. He has been amassing the history of the family for decades but one aspect of this astonishing story had always eluded him. That was the narrative of the boys when emigration took them to America. Christy knew that the real source of information needed to complete his account of the Casey’s family lay in Houston Texas where Jim Casey had lived and died. Luck was on his side. Jim’s American born wife Myrtle came to Sneem on holidays, she was put in touch with Christy and to make a long story short at her invitation Christy and I jetted out to Houston in February 2008 where we spend a wonderful week at Myrtles home. He had served as an integral part of the NASA Shuttle-Mir Program, providing crucial oversight, management, and guidance the first phase of the International Space Station. He explained to us how Jim had been approached and asked by NASA to train many of the space astronauts as they prepared for their flights into space. Further interviews were conducted by us with Myrtle and her daughter and the story seemingly forgotten forever was finally been pieced together. On our last night in Dickinson Myrtle presented us with a copy of the original book written by Jim Hudson with Jim Casey with her written permission to have the book published in Ireland. She was determined that the story of the family would eventually be told to the world. We flew home to Kerry determined to have this book made available to sports lovers everywhere and now thanks to Collins Press of Cork Myrtle Casey’s dream has come true. Christy Riordan however has gone one step further and an amazing DVD chronicling the life and times of this extraordinarily family from Sneem in County Kerry will also now be available where people can listen to interviews with the family, view footage of their greatest victories and view that collection of priceless memorabilia obtained on that memorable trip to Texas. However just one more journey needed to be made to complete the real story of the family. their place in histories pages.